White base card with backing paper from Papermania 'Blueberry Hill' pad. Ribbon is from Poppicrafts and the flowers, brad and gems are from my stash. The image is from Digi Sparkle along with the sentiment and is coloured with Promakers. All the layers are pink and black from my 'spare bits' box. I have added a black peel-off round the edges of the card. 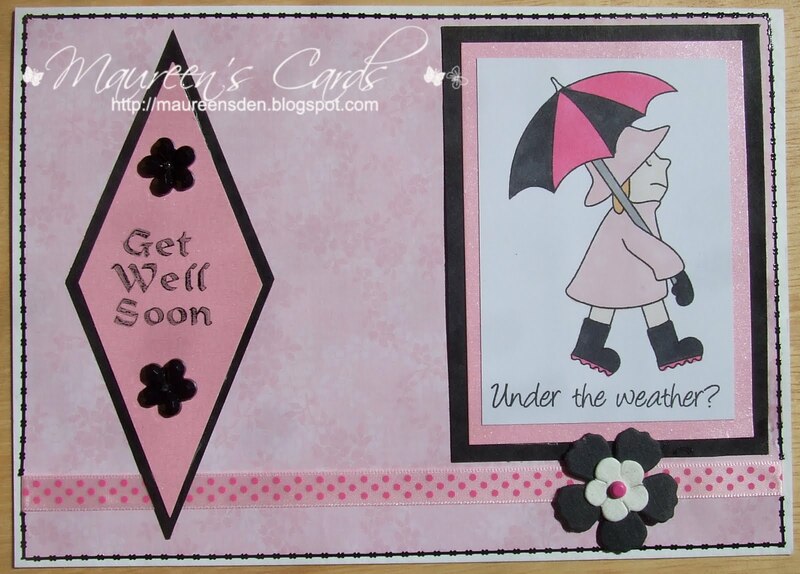 The Get Well Soon is a stamp that I have had for years and never used very much.